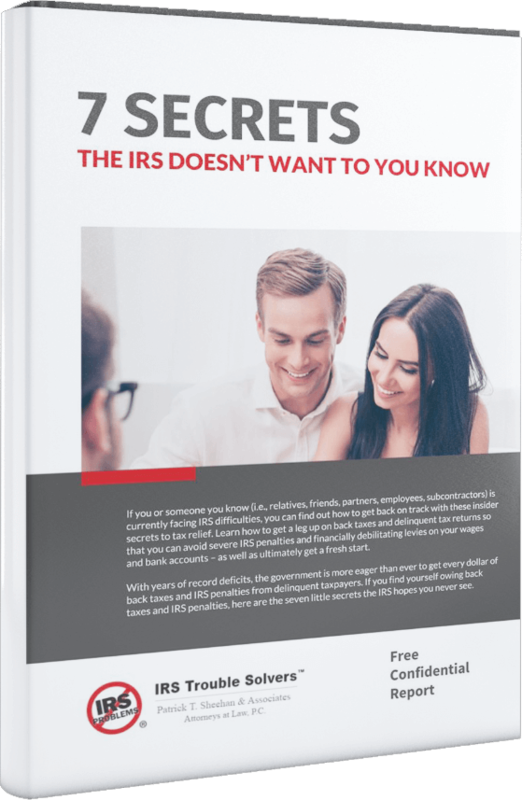 I have been a client of your law firm since October 2015, when I retained Ms. Molly Young to represent me in an Innocent Spousal Relief request from the IRS. I found out after the fact that my soon to be ex-spouse filed our taxes jointly after giving his daughter $320,000 from his 401K without my knowledge, and without paying the taxes on that money. Consequently, without my signature on this tax return, I found out we owed the IRS $127,505, inclusive of penalties and interest. Immediately, Ms. Young was diligent in filing an Innocent Spousal Relief form. She wrote many letters and had many phone conversations with Revenue Officer Norris, who was assigned to my case. It has been a long emotional struggle for me, but the outcome has been glorious! The IRS has excused me from any of my ex-spouse’s IRS debt, and they have sent me a letter confirming adjustments to my account. It was an extremely happy day when Ms. Young called me with the final IRS decision. It has been my pleasure to work with Ms. Young for all these months. She has a personality that I enjoy, wonderful work ethics, and is able to close the deal. I would truly recommend to anyone who has an IRS problem to immediately contact your law firm and request Ms. Molly Young. Our client was married for 12 years and her ex-husband prepared and electronically filed their joint tax returns. However, he never let her review the tax returns before they were filed and she never signed them. Unbeknownst to our client, her husband withdrew money from his 401K account and gave it to his daughter from a prior marriage to help her business. The withdrawal was a taxable event, and resulted in an unpaid joint liability due to the IRS in excess of $127,000.00. We filed a Request for Innocent Spouse relief with the IRS for our client, and the IRS agreed that she should not be held liable for her ex-spouse’s tax debt. Our client is now free and clear of her prior liability due to the IRS.